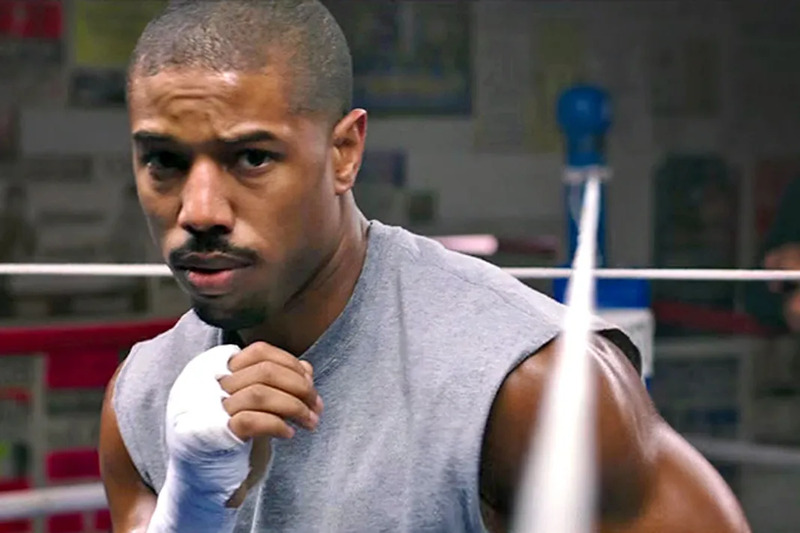 If you haven’t seen Creed yet, then we’re seriously not sure what you’re waiting on. Not only is it the best Rocky film since the original, which premiered nearly 40 years ago, Michael B. Jordan‘s physical transformation into Adonis Johnson is beyond amazing. With a vigorous workout and diet, Jordan pushed himself to the max in order to transform his body into that of a competitive boxer. The film has been so well received by both critics and audiences, that it is receiving major Oscar buzz. Just this morning Sylvester Stallone got nominated for a Golden Globe. We’re going to go ahead and demand that our love Michael Bae get the Oscar nom that he so desperately deserves. Not only did he beef up for the role and give us epic acting, he actually got knocked out cold while filming the movie. Seriously, he took a ridiculously nasty punch to his beautiful face, so if that doesn’t garner an Oscar nom, then we don’t know what will. Sylvester Stallone posted a video of the super intense KO on his Twitter saying, “young creed getting KO’d for real! But he got up and did it again! That’s called guts! !”.